Have you ever tried making upma with oats? 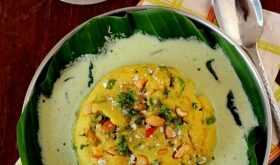 Upma, a very common and quick South Indian breakfast dish, is not very popular unlike its counterpart, the famous Masala Dosa. People either love or hate Upma. I know of many kids and adults alike who hate to hear the phrase ‘upma for breakfast’. I don’t belong to that category, though. I like to eat upma occasionally. 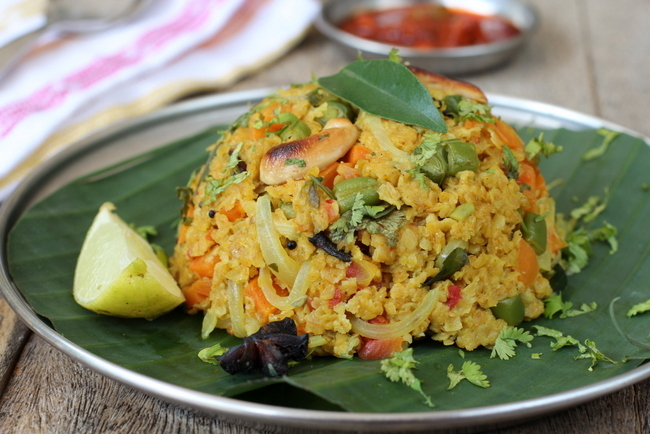 I have for you an Andhra style oat upma recipe that is healthy, super quick and easy to make. 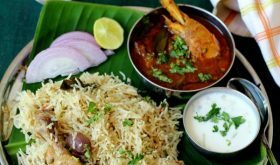 I have added mixed vegetables to increase the nutrition quotient and a bit of whole garam masala spices to increase the flavor profile. Enjoyed every spoonful of the oats upma. Heat oil and ghee in a heavy bottomed vessel. Add mustard seeds and allow to splutter. Add whole spices, cashew nuts and curry leaves and saute for a minute on low to medium flame. Add the onions, ginger and green chilies and saute for 4 mts. Add carrots and beans and saute on medium flame for 4 mts. Add turmeric powder and salt and mix. Place lid and cook on low flame for 6-7 mts. Add a cup of water and bring to a boil. Reduce flame, place lid and cook for 6-7 mts or till the water is half absorbed. Add the dry roasted oats and mix. Place lid for 3 minutes. Turn off heat and mix well. Remove onto a serving bowl and garnish with fresh coriander leaves. 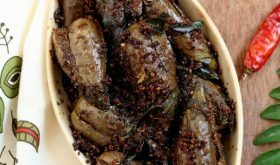 Serve warm with pickle or chutney of your choice. Use any vegetable of your choice. Tomatoes make for a good addition. 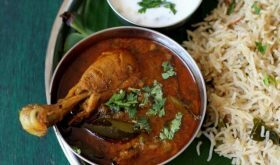 If you do not have whole garam masala spices, add a pinch of garam masala powder. By Sailu Published: August 26, 2012 Oats Upma is one of the easiest and healthy Indian recipes using oats. 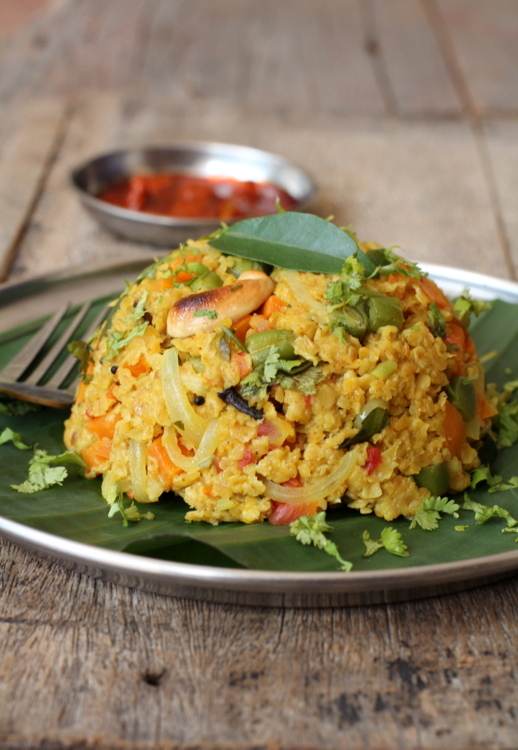 How about an Andhra style oat upma recipe with vegetables that your kids will love? Healthy and delicious!! Thanks for sharing Sailu! Are these instant oats ? what type of oats did you use? very nice recipe. let me not forget to mention that my son & my husband are your biggest fans!! Looks delicious!! This is the way I want my oatmeal .I really don’t like sweet version we get here. Can i use any kind of oats? Wow! 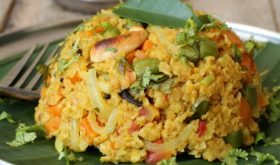 The best recipe for oats upma. Everyone absolutely loved it. Thanks. do we need to add more water or cook how much longer for old-fashioned oats(those are not precooked like instant oats are)? Yes, you will need to add more water. You will have to use your discretion and cook them like you would normally cook old fashioned oats. I followed the recipe exactly and it turned out perfectly. I would recommend following every detail from this recipe before making any changes of your own. We all loved it. 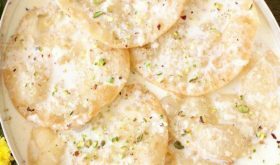 Great recipe Sailu! I used quaker brand quick oats. I had to use 2 cups of water for 1 cup of oats. I think I scored some brownie points from my family for making this:-) Good work. Tried it.. It’s yum..!! Perfect taste.. I tried this. But it the end it came out to be a paste. In the photo it appears very good. But oats became paste when I coocked the recipy. Do you have any idea how to cook it dry as shown in picture. I prepared musterd seeds and peanuts in oil and allowed to splutter. Then added full cup of water, salt and turmeric powder. I added half cup of oats thereafter. Reduce the amount of water used to cook the oats the next time you make it.